Spending time outdoors in a calm and beautiful environment is great for your mental well-being. It leaves you feeling relaxed, energized and at peace with the world. A modern outdoor living space can also be a fantastic place for socializing and dining outdoors definitely makes food taste better. When you add your friends into the mix, you have the recipe for an amazing evening. Here’s a guide to three key aspects that you ought to consider when creating your fantastic modern outdoor space. 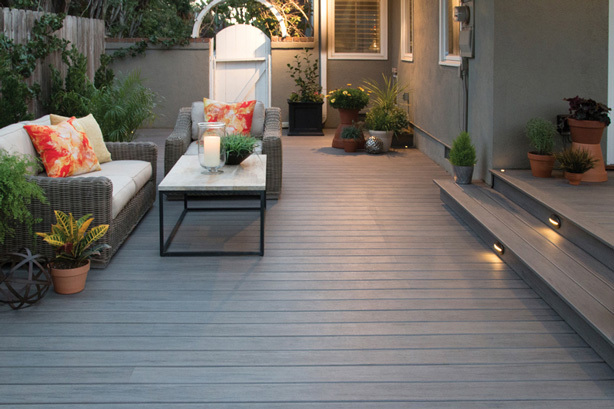 Avoid mud and wet grass as you dine outside by laying down some decking. A decking area is perfect for sitting out at tables and chairs. You can add an awning, some outdoor lights and a few potted trees and plants to create a magical ambience. 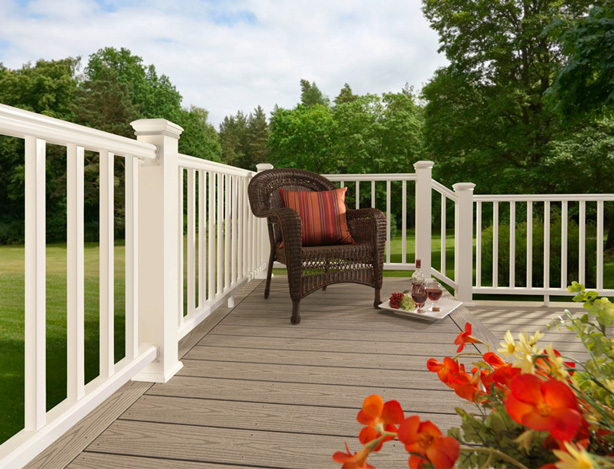 One fantastic option is composite decking, which tends to be more durable and easy to maintain than traditional wood decking. Composite decking is usually made from recycled materials, which makes it a very good eco conscious choice. Composite decking won’t splinter in the way that wooden decking does, so if you like to stroll around the garden in bare feet, composite decking might well be the safer option. For further information on composite decking, check out the range at Timbertech UK. Turn your outdoor space into a lush green lung with a few well-chosen bedding plants. No matter how large or small your garden is, you can make the most of it with a few climbing plants (honeysuckle smells delicious, for instance, but needs to be kept in check with regular pruning), hanging vines in pots, and creepers such as sweet peas trained along canes or small trellises. Add some potted plants or fresh herbs (great for finishing off that outdoor meal with a flourish), aromatics (lemon geraniums and lavender are low maintenance and smell lovely) and perhaps a few ornamental cacti or ferns. If you have space for flower beds, choosing a mix of colorful blooms such as daylilies, peonies and nasturtiums will instantly turn your outdoor space into a charming environment, and a haven for bees, too. Add in some evergreens such as succulents and ferns to bring color to the garden throughout the year. Garden rooms (such as those provided by Sunspaces) offer an excellent space to enjoy the outdoor life. More modern in their aesthetic than a traditional conservatory, garden rooms give you the best of both worlds: the comfort and shelter of a space with a roof and the glorious sights and sunshine of the outdoors. Designed to capture the most sun possible and to provide you with a space for relaxing and entertaining, garden rooms let you enjoy your garden’s flowers with the additional comfort of a light aluminum and glass roof. 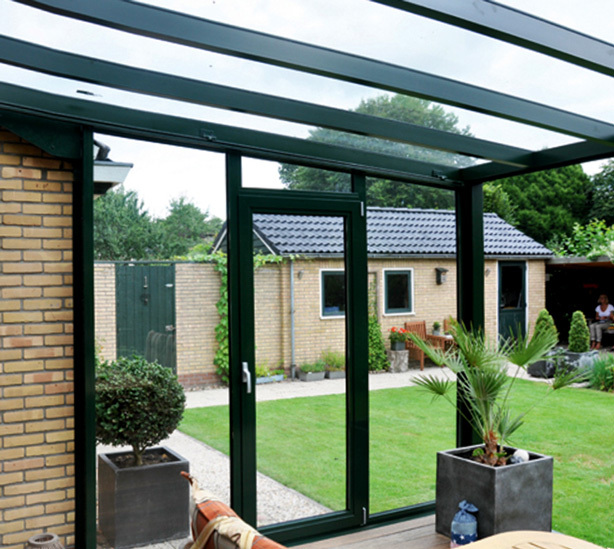 Opening out onto your garden itself, they provide a seamless transition from indoors to outdoors. They can also be made nice and secure, so it does not matter where you place them on your property. Quick and easy to set up, garden rooms are the stress free way to enjoy outdoor living all year round. Ready to Create a Truly Modern Outdoor Living Space? With a little information, creating a contemporary garden design can be easy. Adorn your outdoor living space with the perfect plants in pots and borders, lay down some composite decking and select some elegant garden furniture and outdoor light fixtures for atmospheric entertaining. If you are looking for a more modern alternative to the traditional conservatory, consider installing a garden room. With these three tips you can transform your garden into an inviting place to drink, dine, dance or just relax with a good book. All photos via Green Squares, Ltd.